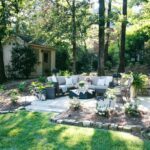 There’s no denying we love the patio retreat we created in our backyard last year. 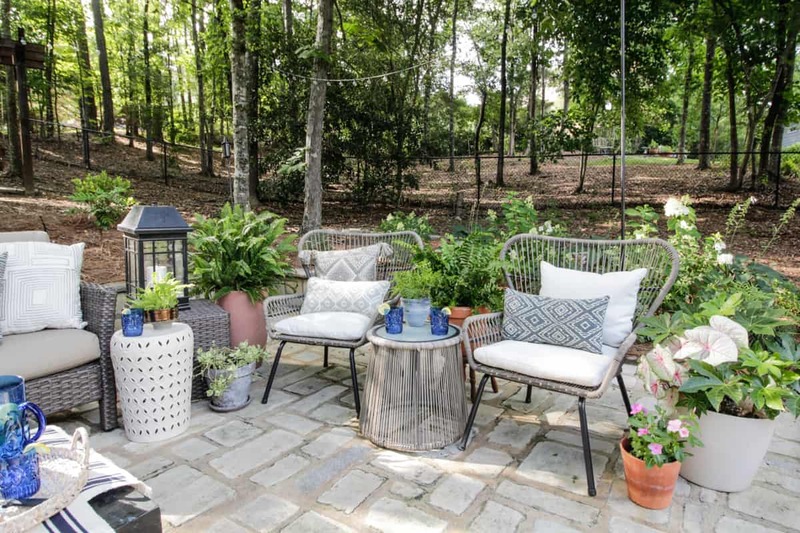 Having a space tucked up under the shade of the trees is cooler, offers a quaint escape and is just beautiful in every way. The idea of it all seemed like perfection, until I realized the insanity of keeping all of this furniture spotless. 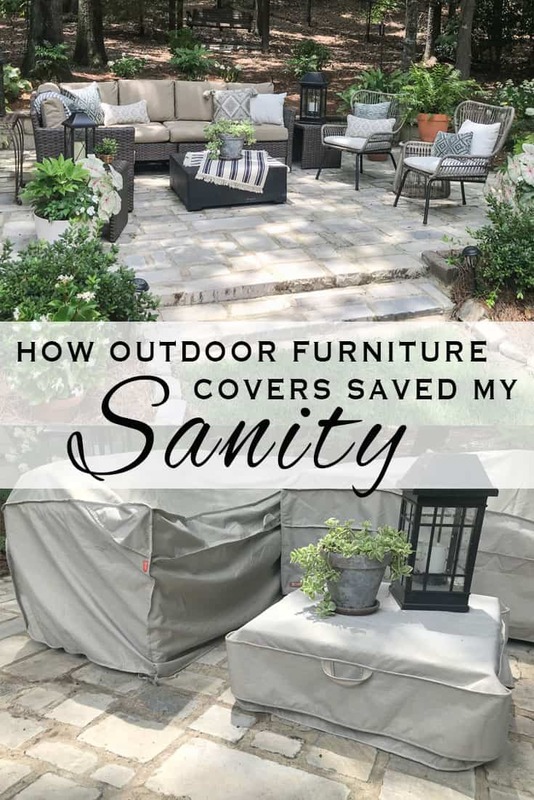 I knew outdoor furniture covers were the answer, but I just kept putting it off. 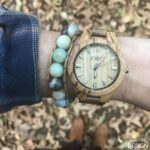 So, when Classic Accessories asked if I would like to partner with them to share my experience with their products I said, “Absolutely!” Look for a 10% discount code for my readers at the end of the post!! This post was sponsored by Classic Accessories. All thoughts and opinions are my own. Because let’s face it, while this looks perfectly picturesque, there was a lot of behind the scenes cleaning and set-up to get it to look like this! Every leaf, stick and all manner of debris fall straight out of the trees and onto this patio and the furniture. Think about all those birds chirping happily up there! 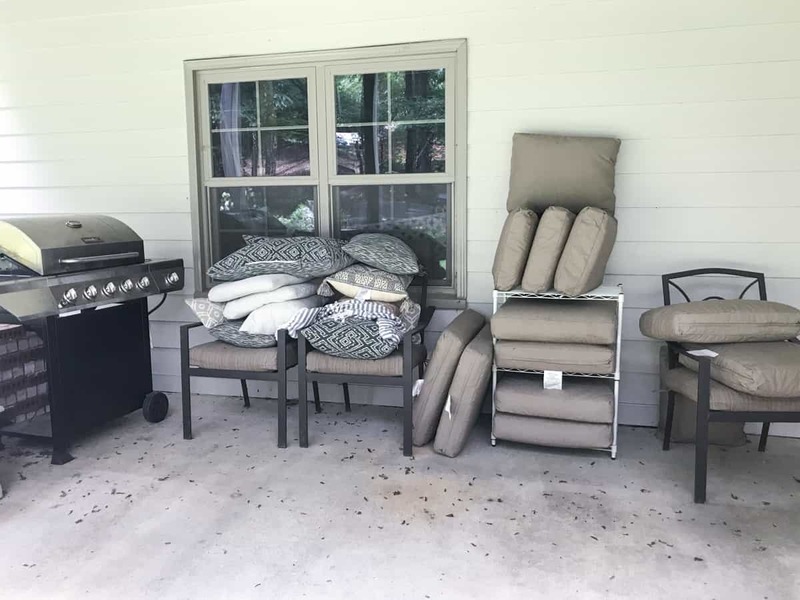 To protect the cushions and pillows from the weather and the trees, this is what the patio had to look like everyday. Which also meant this is what the area under our screen porch looked like! Of course, the cushions were safe from water there, but I wouldn’t classify them as particularly clean. It also does not allow this space to feel put together with piles of cushions stacked up everywhere. 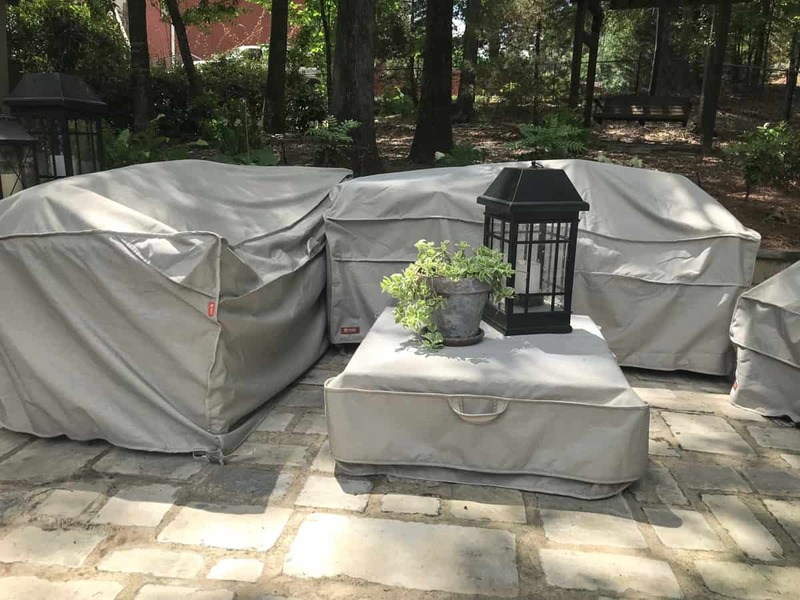 The new covers from Classic Accessories are the perfect solution for making more time to enjoy what we have built. 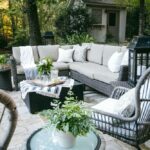 Gone are the days of hauling dozens of cushions back and forth across the yard to get to this state. Watch how quick and easy they go on and come off! And don’t even let me start talking to me about the pollen. 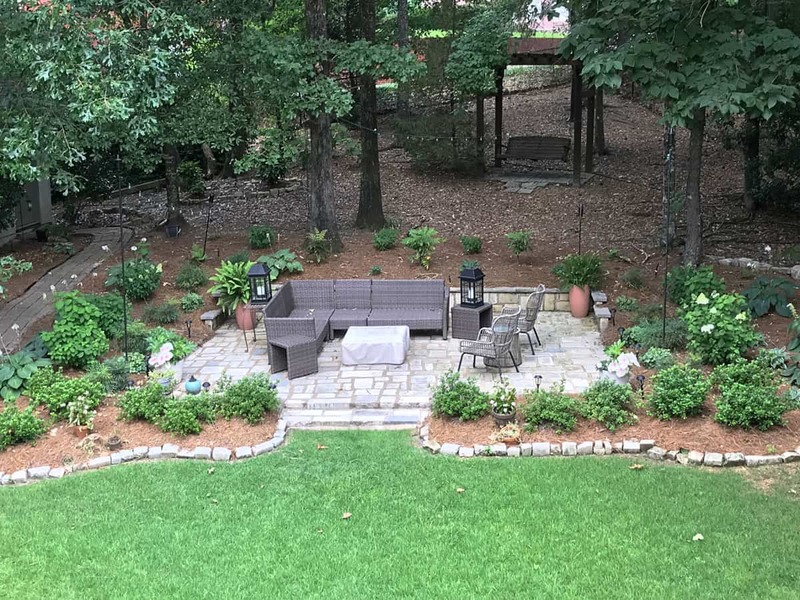 This spring the pollen was the worst it has been in a long time and once it finally cleared out, I spent days upon days cleaning everything! It was crazy! 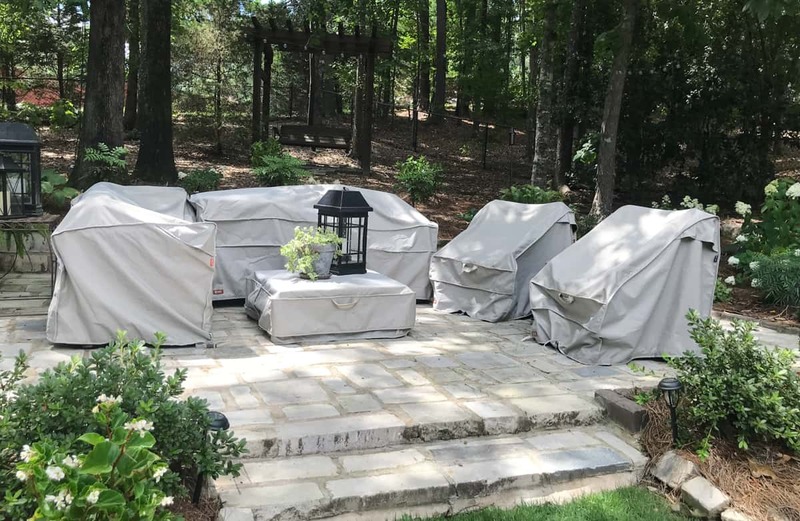 Next spring, I’ll just hose off these durable, yet lightweight covers and enjoy the welcomed spring air! Classic Accessories has an extremely wide selection of covers that are sure to fit your furniture perfectly. Our sectional is actually comprised of three separate pieces. It worked best to use two covers, sliding two of the smaller pieces together. 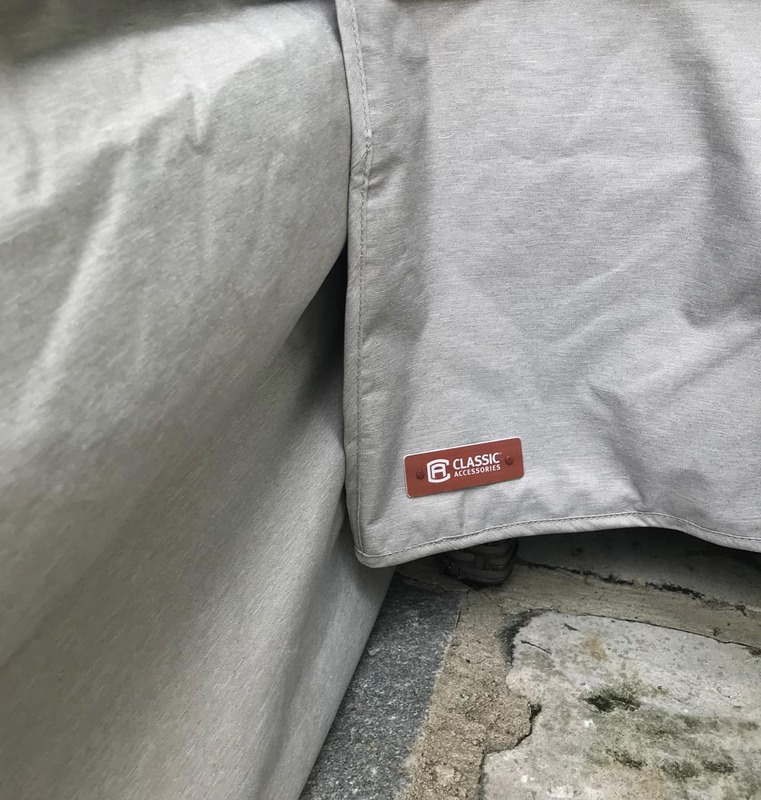 As you might have seen from the video, I even nested the side tables on top of the smallest piece of the sectional and placed the cover on top. This helped fill out the space where an arm of a sofa would be. For reference, here are the exact pieces that fit my furniture best. Each photo is also a link to the actual products. 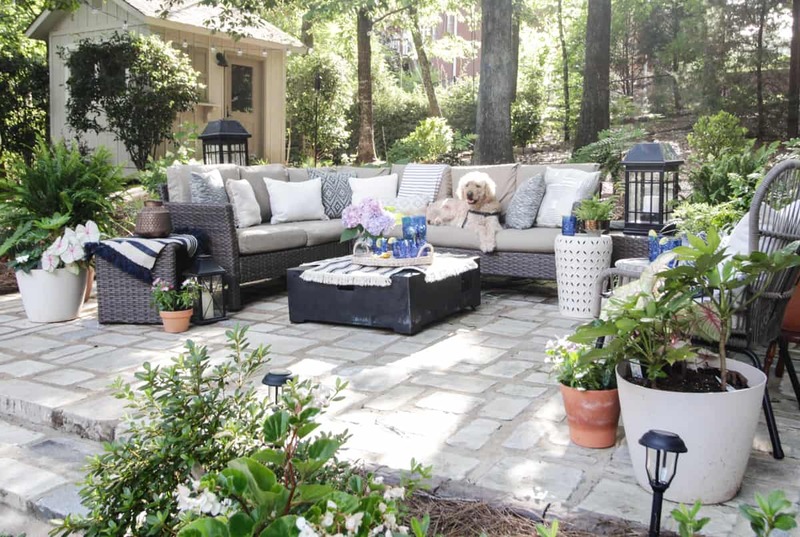 Readers of Deeply Southern Home can receive a 10% discount by using the code DEEPLYSOUTHERN10. 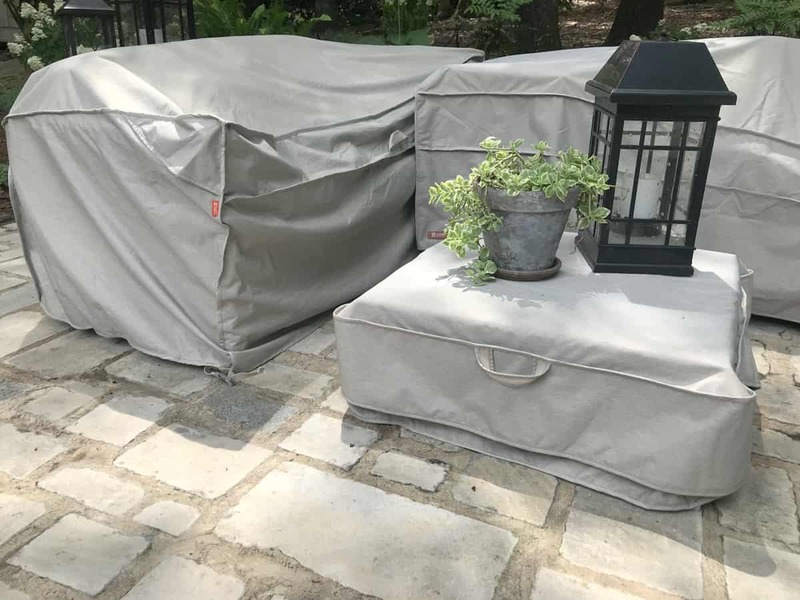 Classic Accessories creates patio furniture covers, as well as other accessories that help preserve and protect the items that help people enjoy the outdoors. 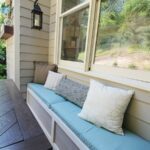 Specifically in their furniture covers, they offer several different color options that blend well with surrounding outdoor settings. 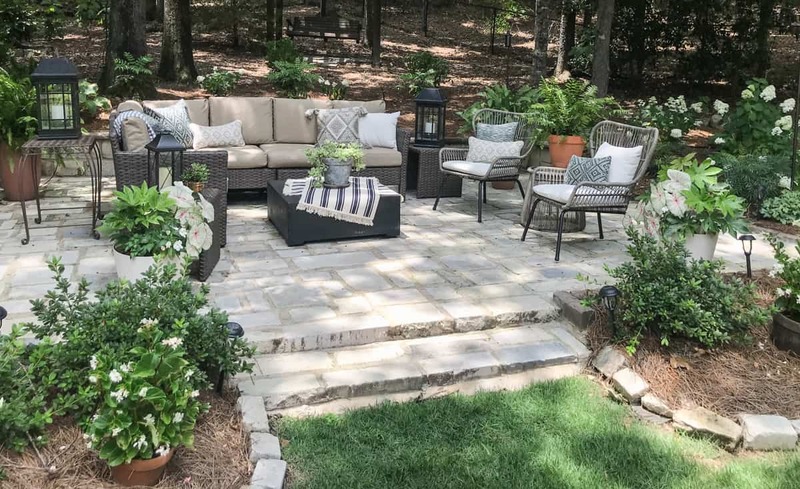 I chose the Montlake because I the grey-brown fabric blended nicely with our stone patio. They also have a new line of replacement furniture cushions. I’m keeping this fact in my mind for later because reasonably priced ones are hard to find! 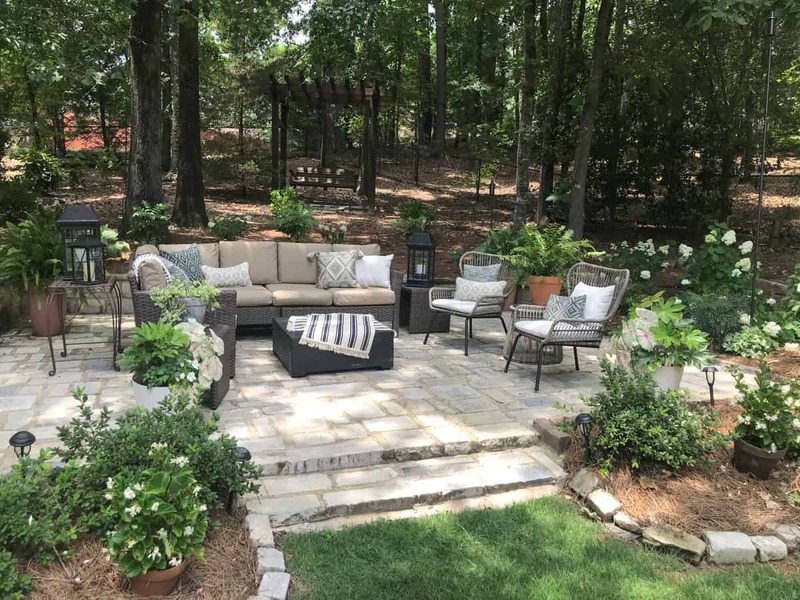 Want to know more about the furniture and how we built this patio? 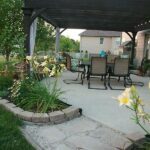 This blog post, Recycled Stone Patio & Outdoor Oasis has all the details! Thanks to Classic Accessories for providing an easy way to enjoy my patio without losing my sanity!